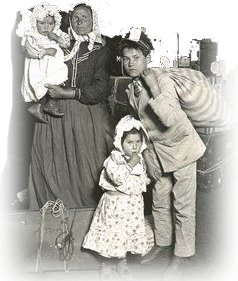 FAIDRA PROJECT concerns the personal stories and testimonies of ordinary European families that experienced immigration in different circumstances and periods of their country’s recent history. These stories became the “raw material” for a performance, in the genre of documentary theatre. Separation and reunion of family members, immersion in a strange culture and subsequent adaptation or rejection, the struggle to reconcile work and family life in an unfamiliar environment or in two different countries, feelings and realities of life, success and failure, were brought into focus to sew together a patchwork of stories, situations, messages and feelings, within a background that reveals an aspect of the recent social and cultural history of Europeans, which is not taught in schools or written in the official history documents. The FAIDRA play was produced and premiered in Athens. Rehearsals lasted about one month. Each partner devoted to the performance at least 3 actors. The play was also performed in three more locations, in the countries of the partners.Athens (GR), Smolyan (BG) and Lund (SE). The première was videoed and uploaded in this website (section Gallery). The play was designed and produced in such a manner that it was easy to transfer and present in different venues, with a view to touring different cities as well.